Chevy Chase Cove Landscaping Gallery. Little details make all the difference in your landscaping. 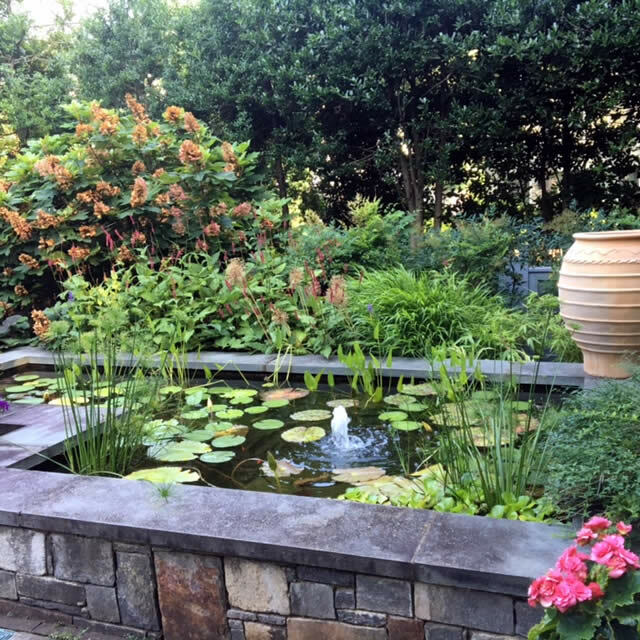 Here is a little cove at a Chevy Chase home using stone, plants, and moving water to add beauty and wonder to the property. 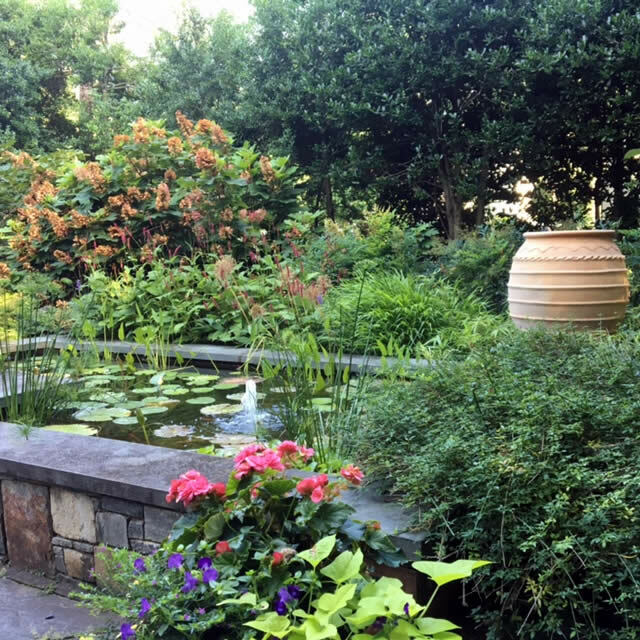 Using aquatic and non-aquatic plants together creates a fullness to the cove, a bursting of green and life. 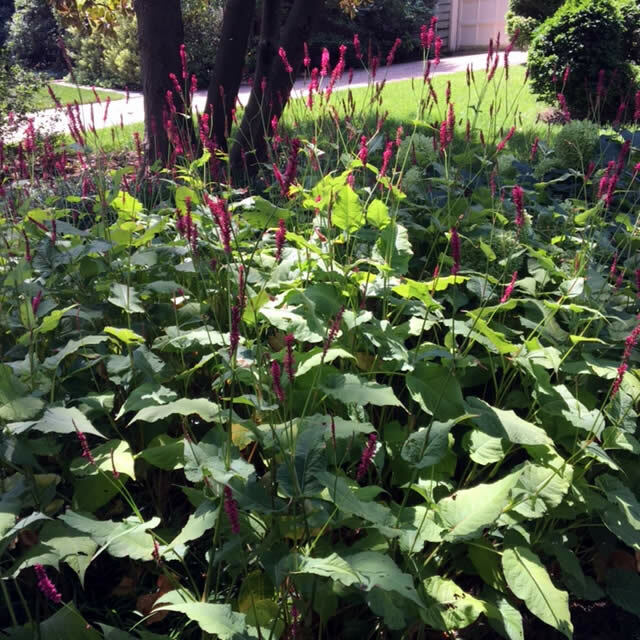 Landscaping is not just filling space, it is creating spaces that please the senses. Just look at the greens punctuated by the color, hear the bubbly song of the fountain, smell the wholesomeness of the plants. We know landscaping has done its job when your life is more fulfilled because of what the landscaping adds to your environment.